Move It Removals are a professional and dependable removal company with over fifteen years of experience in moving homes and offices. The company initially started as a van and man operation by the owners Ian and Craig McBain. 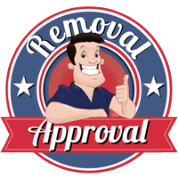 They quickly identified a gap in the market, in the Southend area for a quality regulated house removal company and out of this Move It was born. In November 2011, Move it Removals Ltd was founded, and in 2012 the company won the Southend Business Awards for new company. More awards followed suit winning the National Guild of Removers ACE removers award, scoring a fantastic 98% for customer service. These have been awarded 2013, 2014 & 2015. We have consistently achieved 98% since we became regulated. Based in Southend-on-Sea, Essex, we cater for local and long distance moves. We carry out moves throughout Essex, London and even Scotland! Our Awarding winning status demonstrates our dedication to customer service. Your property and possessions will be handled with the utmost of care by our fully trained, certificated, and courteous staff. Your move will be carried out on our fleet of fully insured and well maintained trucks. We offer full or fragile packing options, storage solutions, dismantle/re- assembly service, as well as all your packing materials. So relax and let us take care of your next move. Call us now to see how we can help.